I ran out of time on Sunday but I was going to share the following story of redemption to conclude the sermon on dealing with disaster from the life of Joseph. We looked at some principles to apply when we face disastrous events in our lives, and find ourselves in the pit of despair just like Joseph found himself at the hands of his brothers. I love the truths found in this illustration as no matter what happens to us in our lives, whether we're in the pit or the palace God is faithful and continues to have a plan and work it out in our lives. “August 22, 1741, was a sweltering day in the city of London. An elderly stooped-shouldered man wandered through the streets. His nightly aimless wandering through the streets of the city had become a familiar ritual. His angry mind raced back to the memories of great adulation and then looked at a future of seemingly hopeless despair. For forty years the bachelor had written operatic music which was the rave of royalty in both England and the entire continent. Honors had fallen at his feet. He was in demand everywhere. Then things changed quickly and drastically. Fellow musicians became jealous and bitter. Members of the royal court reacted strongly to his abrasive manner. A rival gained great success, and envy began to grow. As though that were not enough, a cerebral hemorrhage paralyzed his right side. He could no longer write. Doctors gave little hope for recovery. The old composer traveled to France and began to soak in baths rumored to have miraculous powers. Doctors warned him about staying in the scalding water for such long periods of time but he ignored their advice. At one point, he stayed in for nine hours at a time. Gradually his weakened muscles began to receive new life. As his health improved, he once again began to write. Soon, to his amazement, his works were being received with rapturous applause. Honors again began to flow. Life seemed to be heading for the stars. But then he found himself in the pits once more. Queen Caroline, who had been his staunch supporter, died. England found itself on hard economic times. Wasting heat to warm a theater was viewed as ridiculous. His shows were canceled. And now he found himself wandering aimlessly through the streets once again. Having wondered where in the world God was, he wandered back home. Opening his door, he found a wealthy gentleman waiting in his living room. The man was Charles Gibbon, who had startled England by rewriting Shakespeare. Gibbon explained that he had just finished writing a text for a musical that covered the entire Old and New Testament. He believed that the gifted musician was the man to set it to music. The great maestro scoffed at the audacity of the young man. No one had ever challenged George Frederick Handel to write something he had not thought of first. Handel’s temper was violent and he was a dominating presence among his enemies. Why had Gibbon not brought an opera that was more the composer’s cup of tea? He picked up his pen and began to write. Music seemed to flow through his mind as though it had been penned up for years. Putting music to the script, he finished the first part in seven days. The second section was completed in six days and two days were given to fine-tuning the instrumentation. 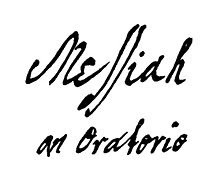 Thus, at the age of fifty seven, Handel completed the Messiah in a mere twenty-four days. When the classical work was first performed in London, and the ‘Hallelujah Chorus’ was reached, King George II stood because he was so moved. To this day people still rise to their feet as a sign of worship of God and admiration of this great work of art. Handel, like Joseph, had to deal with the pits of life. But the strength to do so came from knowing the One who can overcome all of the pits. How about you? Do you know the God who is able to rescue you from the cisterns of life? Do you see His hand even in the pit in which you may find yourself? Perhaps the pit is merely a brief stopping place on the road to greatness. Just like Isaiah 43 reminds us, no matter what we go through God is faithful...Center-Stage and Behind the Scenes.